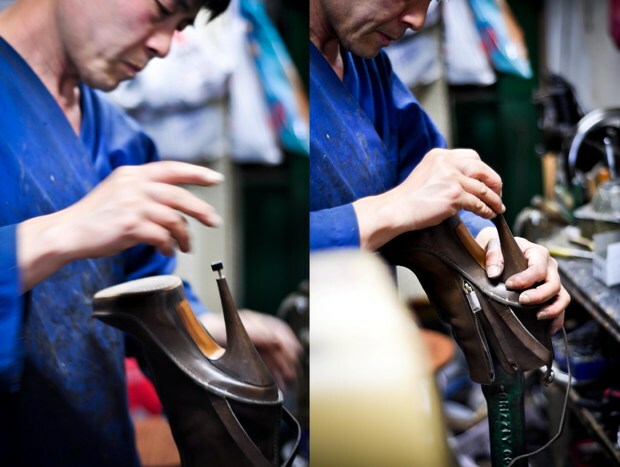 "...Shoes are the punctuation mark of any outfit..." (Mark Hare, creator if Mr. Hare shoes) therefor it is extremely important we always wear proper shoes and take care of them regularly. 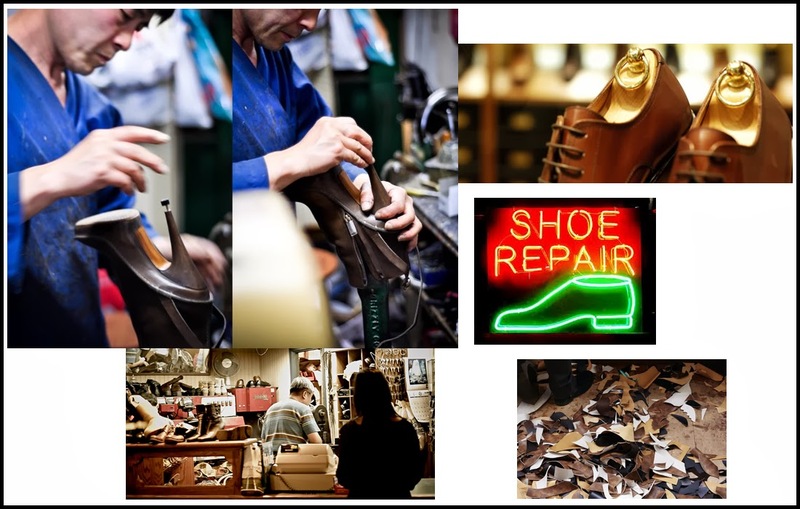 Shoes, especially leather shoes, are very important to be taken care of to last longer. In order for it to happen you need to consider a few factors and do your best when it comes to being proactive. A shoe always has to be dry (not damp or not wet) when worn. For that to be the case you should "never wear the same shoe on 2 consecutive days" (Andres Hernandez, creative director for John Lobb) to allow it to be properly dried and moisture free. If for some reason that can't be done, always use a shoe tree, not plastic (that's only good for textile) and preferably not a varnished one. This allows your shoes to dry out and regain its shape in about 2-3 hours, after what you can remove the tree and leave it as it is. When a shoe is very wet, (e.g: rain) you can fill it with paper to pick up the rain or leave it sideways to dry out evenly (If you leave the shoe on its sole, the circulating air will only dry the outside and leave the inside wet for longer, it is better for the leather shoe to dry evenly). Never dry with hot air or direct sun. - For nubuck and suede leather use rubber eraser and/or soft brush the clean the dirt and use silicone spray for water resistance.